"Combating terrorism requires a reaffirmation of human rights values, not their rejection." "Locking people up, or seriously restricting their liberty, when they have not even been charged, let alone convicted, of any crime is likely to alienate the very communities whose cooperation is vital to an effective counterterrorism strategy through the criminal justice system." "Effective policing requires good intelligence and the willingness of communities to cooperate with the police. Measures which are seen as unjust are likely to undermine that willingness to cooperate with the police and security services at a time when the cooperation and support of these communities is most needed." Human Rights Watch respectfully offers the following submission to the Senate Legal and Constitutional Committee's inquiry into the provisions of the Anti-Terrorism Bill (No. 2) 2005 (hereafter "the Bill"). Human Rights Watch is an independent, nongovernmental organization based in New York which monitors the compliance of countries with their obligations under international human rights law. Human Rights Watch regularly publishes reports and briefing papers reviewing counter-terrorism legislation throughout the world, including most recently on the United Kingdom, the United States, and Spain. Under international human rights law governments have a responsibility to protect their citizens from terrorist acts and to cooperate internationally to bring to justice the perpetrators of such abuse. The human rights framework is not soft on terrorism. It acknowledges that states must sometimes take exceptional measures to ensure public security. In fighting terrorism, however, governments must also ensure that they meet their other obligations by guaranteeing that counter-terrorist measures respect international human rights law. Genuine security is ultimately about ensuring an environment in which all human rights are fulfilled, respected, and protected. This will not be achieved when basic freedoms are undermined. Governments and legislators must always be aware of the risk that alienation and discontent can be channeled into politically motivated violence. Human Rights Watch believes that protecting human rights during counter-terrorist efforts is more than a legal requirement. It is integral to the success of the campaign against terrorism itself. Terrorism will not be defeated solely by military or security means. Combating terrorism requires a reaffirmation of human rights values, not their rejection. Locking people up, or seriously restricting their liberty, when they have not even been charged, let alone convicted, of any crime is likely to alienate the very communities whose cooperation is vital to an effective counterterrorism strategy through the criminal justice system. Effective policing requires good intelligence and the willingness of communities to cooperate with the police. Measures which are seen as unjust are likely to undermine that willingness to cooperate with the police and security services at a time when the cooperation and support of these communities is most needed. This submission reviews areas where the proposed Bill would violate Australia's obligations under international law, in particular under the International Covenant on Civil and Political Rights (hereafter "ICCPR"). The ICCPR was ratified by Australia on December 18, 1972, and came into force on August 13, 1980. Australia is also a party to the Optional Protocol of the ICCPR, which permits individuals who believe that their rights under the ICCPR have been violated by the government of Australia to petition for redress at the Human Rights Committee. This proposed Bill would implement a series of expanded restrictions to a number of rights protected by the ICCPR. Such limitations are acceptable only when the government is responding to pressing public needs, is pursuing legitimate aims, and the limits are proportional to that aim. Restrictions must not be applied in an arbitrary manner, and every limitation imposed must be subject to the possibility of challenge and genuine remedy. As indicated in this submission, many of the restrictions imposed by this Bill exceed the limitations allowed by international law. Human Rights Watch emphasizes that the inclusion of a ten-year sunset clause does not bring the Bill any closer to compliance with international law. The Australian government must meet its responsibilities to protect fundamental rights today, not ten years down the road. In order to protect freedom of expression, "urging" action must not be criminalized unless it is directed at inciting imminent lawless action, is likely to incite such action, and if those listening are likely to take action in response to the urging. Mere advocacy of any position, no matter how odious, must not be criminalized. The provisions on sedition in this Bill are serious infringements on the right to freedom of expression. The Bill should stipulate that control orders must not be used to implement house arrest of an individual or to implement the functional equivalent of house arrest. House arrest through control order is functionally equivalent to criminal punishment without trial and would therefore constitute a severe violation of the due process and fair trial provisions of international human rights law. Individuals subject to control orders must have access to all information submitted to the courts for the purposes of securing the control order. The use of secret evidence in closed proceedings without the ability of an individual subject to a control order to confront the evidence against him or her in person with the assistance of the counsel of his or her choice violates fundamental due process standards. Control orders must not be open to indefinite successive renewal. Individuals who have already been tried and convicted for providing or receiving training connected to a terrorist act must be exempted from the imposition of control orders on the basis of the same activity which led to the original conviction, so as to avoid the imposition of double jeopardy. Detainees should be permitted to inform their family members and legal counsel of the fact that they are being detained. Detainees' communications with lawyers must not be monitored by the police. In its present form the Bill criminalizes "urging" the overthrow of the Australian constitution or the government, "urging" interference in parliamentary elections, "urging" violence within the community, "urging" someone else to assist the enemy, and "urging" a person to assist an organization or country engaged in armed hostilities against Australia (§§80.2(1)-(8)). Expression should never be punished for its subject matter or content alone, no matter how offensive it may be to others. Human Rights Watch is concerned that the vague language of the term "urging" may allow for violations of the right to legitimate expression. The Bill appears to violate international law on its face, as it is not based on a strict and clear definition of incitement and could therefore have a chilling effect on speech, as individuals may be so fearful of saying something in violation of the law that their free expression will be unduly limited without the law ever having to be implemented. The Bill also is likely to violate international law as applied to individuals, as international law requires that any restriction on the content of expression be based on three factors: 1) there must be direct and immediate incitement of acts of violence, discrimination or hostility against an individual or clearly defined group of persons; 2) this direct incitement must occur in circumstances in which such violence, discrimination or hostility is imminent; and 3) courts should be required to consider whether the intended audience was actually likely to take action in response. The use of the term "urging" is so vague that it is unlikely to meet these three tests as applied. Under the proposed Bill, the Australian Federal Police may initiate the procedure for acquiring a control order if they believe on reasonable grounds that the order would substantially assist in preventing a terrorist act, or that a person has provided training to, or received training from, a listed terrorist organization (§104.2). The Attorney General must then consent to the request being given to an issuing court, although in urgent circumstances, a senior AFP member may request an interim control order without first obtaining the Attorney-General's consent §104.6(2)). The court may then issue the control order if it satisfied, on the balance of the probabilities, that making the order would substantially assist in preventing a terrorist act, or that the person has provided training to, or received training from, a listed terrorist organization (§104.4(c)). The court must also be satisfied, on the balance of the probabilities, that each of the restrictions to be imposed on the person is reasonably necessary, and reasonably appropriate and adapted, for the purpose of protecting the public from a terrorist attack (§104.4(d)). A control order may impose on a person a variety of restrictions, including: a restriction on the person being at a specified place; a requirement that a person remain at specified premises between specified times each day or on specified days; a requirement that a person wear a tracking device; a prohibition on the person's communication or association with specified individuals; a prohibition on accessing specified forms of telecommunication or other technology; a prohibition on the person possessing or using specified articles or substances; and a prohibition on carrying out specified activities, including in respect of his or her work (§104.5(3)). In its present form, the Bill would grant the government the power to introduce a form of control order amounting to house arrest. Putting an individual under house arrest for one year--potentially for up to ten years--is tantamount to depriving that person of liberty without trial. House arrest is a gross interference with liberty which impacts not only the person subject to the order, but any family members with whom the individual resides. It is a form of human rights abuse more often associated with repressive authoritarian governments than liberal democracies. Under international law a criminal sanction that amounts to a form of imprisonment can be imposed only through criminal proceedings with the due process safeguards required by international and domestic law, involving a fair trial in which an individual subject to a potential deprivation of their liberty knows the case against him or her and in which the state must adduce evidence to satisfy the court to the traditional common law standard of "beyond a reasonable doubt." Yet under the proposed Bill, initial decisions on house arrest are to be made in the absence of the individuals subject to the order and their legal representatives on the basis of secret evidence which individuals subject to the order cannot challenge, even at a subsequent review. The standard of proof remains significantly lower than the criminal standard. In the view of Human Rights Watch, the restrictions on an individual's human rights contemplated by the Bill render the imposition of control orders functionally equivalent to the imposition of punishment upon the determination of a criminal charge. This view is reinforced by the fact that breach of a control order is a criminal offence punishable upon conviction by up to five years imprisonment (§104.27). Whether the restrictions applied will rise to the level of punishment will depend upon the severity of the restrictions, whether the restrictions are applied collectively, the personal circumstances of the individual subject to the restrictions, and the benefits to public security that would be gained by imposition of a control order. According to Article 14 of the ICCPR, minimum due process requirements in the determination of "rights and obligations in a suit at law" require a fair and public hearing by a competent, independent and impartial tribunal established by law. Further requirements for those charged with a criminal offence under Article 14 include the presumption of innocence and the right to an effective defense, none of which would be provided by a control order. We note that longstanding principles of justice in Australia also require a fair trial which affords equality of arms between the parties, an adversarial process and the disclosure of evidence. In addition to house arrest, the Bill provides for control orders that may include curfews, electronic tagging, restrictions on the use of certain items, restrictions on the use of certain communications, limits on people with whom the individual may associate, and travel bans. Depending on how they are implemented, these orders may violate other rights guaranteed by the ICCPR, including freedom of expression under Article 19, freedom of association under Article 22, the right to privacy under Article 17, and freedom of movement under Article 12. Some orders could conceivably affect a person's ability to work in his or her chosen field of employment or to attend services in his or her chosen place of worship. It should be noted that a similar provision in the United Kingdom's Anti-Terrorism Act of 2005 requires parliament to officially derogate from its duties to respect the right to liberty under international law before the house arrest control order provisions can be activated. To date, the United Kingdom's parliament has not opted to make such a derogation. In taking the decision to impose a control order, the court is restricted to considering only if "on the balance of the probabilities" that the order would "substantially assist" in preventing a terrorist act, or that the person has provided training to, or received training from, a listed terrorist organization (§104.4(1)(c)). This standard falls far short of the "beyond a reasonable doubt" standard in Australian criminal law. The Bill raises the prospect that control orders will be imposed on the basis of secret evidence which the person subject to the order does not have access to and cannot dispute. The Australian Federal Police are specifically exempted from having to provide the individual subject to the control order with any information "if the disclosure of that information is likely to prejudice national security (within the meaning of the National Security Information (Criminal and Civil Proceedings) Act 2004)" (§104.12(2)). Moreover, a lawyer for the person subject to a control order is not entitled "to request," let alone "be given a copy of, or see, a document other than the order and summary [of the grounds on which the order was made]" (§104.13(2)(b)). In its present form, the Bill would result in individuals subject to a control order never knowing the basis of the government's "reasonable suspicion" against them, making any challenge to the lawfulness of the orders practically impossible. Control orders are imposed for twelve months but may be renewed successively on the request of the Australian Federal Police and with the approval of the courts until the application of the sunset clause in ten years time (§104.5(2) and §104.32(1)). The police, the Attorney General, and the courts need only consider that the same standards that were required for the initial control order still apply. Because an individual may be subjected to a control order if the court is satisfied on the balance of the probabilities that an individual has provided training to, or received training from, a listed terrorist organization (§104.4(c)(ii))--both of which are activities that would have already taken place in the past--the court's determination of this element is unlikely to change over time, exposing the individual to a very real likelihood of successive and perhaps long term control orders. Restrictions on the right to liberty for those charged with a crime are subject to time limitations under international law. Under Article 9 of the ICCPR, persons accused of a crime may be subject to deprivation of liberty but must be brought to trial within a "reasonable time" or released. Restrictions on liberty following conviction are not time-limited, but are imposed following a criminal trial subject to the full due process safeguards required by human rights law and domestic criminal law. By contrast, the restrictions imposed under a control order are not for a period pending trial, but are an alternative to it, renewable successively, and without proper due process safeguards in place. It is already a criminal offence under Australian law for an individual to receive or provide training connected with a terrorist act. Under the Bill in its present form, an individual who has already been convicted of this crime and who has served a prison sentence as a result of this conviction can nonetheless be subjected to a control order, including house arrest. This would violate the fundamental legal principle--reflected in Article 14(7) of the ICCPR--that it is impermissible for anyone to be "punished again for an offence for which he has already been finally convicted or acquitted in accordance with the law and penal procedure of each country." For this reason, individuals who have already been tried and convicted for providing or receiving training connected to a terrorist act must be exempted from the position of control orders on the basis of the same activity which led to the original conviction, unless the imposition of the control order is an integral part of the initial judicial sentence. Human Rights Watch is deeply troubled by the inclusion of a preventative detention regime within the Bill. In its proposed form, the Bill allows for a person to be taken into custody and detained in order to prevent an imminent terrorist act occurring, or to preserve evidence of, or relating to, a recent terrorist act (§105.1). The Australian Federal Police may apply for a preventative detention order if there are reasonable grounds to suspect that the subject will engage in a terrorist act; or possess a thing that is connected with the preparation for, or in the engagement of a person in, a terrorist act; or has done an act in preparation for, or planning, a terrorist act (§105.4(4)(a)). The police must be satisfied that detaining the subject is reasonably necessary to substantially assist in preventing a terrorist act occurring (§§105.4(4)(b)-(c)). A subject may also be detained if a terrorist act has occurred within the last 28 days, and it is reasonably necessary to detain the subject to preserve evidence related to the terrorist act (§105.4(6)). The application for an initial preventative detention order may be made to a senior member of the Australian Federal Police, or, for continued preventative detention orders, to certain judges, Federal Magistrates, and retired judges, as appointed by the responsible Minister (§105.2 and 105.12). Although the Bill only allows preventative detention by the Federal Police for up to 48 hours, states and territories have been asked to implement complementary legislation that would extend the period of preventative detention to up to 14 days. The states and territories have been asked to enact the longer period of detention out of a recognition that the imposition of such a long period of detention would constitute the imposition of a penalty by the executive, and would therefore violate the Australian Federal Constitution. Under the proposed Bill, individuals subject to preventative detention will fall under a system of weakened guarantees in comparison to individuals who are held on criminal charges. As such, individuals under preventative detention are more likely to suffer additional human rights abuses than other detainees. Preventative detention without charge should only be resorted to in the most exceptional circumstances. Whether or not detention of an alleged terrorist or direct supporter of terrorism can be seen as "arbitrary" has to be considered in context and with reference to all the various interests at stake, such as the detainee's rights to liberty and security, the rights of others to liberty and security, and the interests of the government in maintaining law and democratic order. Under human rights law, therefore, detention will not be deemed "arbitrary" if it is needed under strictly defined circumstances. As a way around court rulings that do not allow the federal executive to impose penal sanctions on individuals, the Bill limits federal preventative detention to a maximum of 48 hours. This has been done with the expectation that states and territories will soon introduce complementary legislation that will provide for preventative detention for up to 14 days. In essence, the federal government is attempting to do by the back door what has been prohibited through the front door. Restrictive measures must conform to the principle of proportionality; they must be appropriate to achieve their protective function; they must be the least intrusive instrument among those which might achieve the desired result; and their impact must be proportionate to the threat to the interest to be protected. Therefore, the official authorized to issue preventative detention orders, and all courts reviewing decisions related to preventative detention, must be required to take into account the impact of the detention on the person's individual circumstances, including financial and personal circumstances. Individuals who are detained under the Bill are unable to inform their family, friends, or co-workers that they are in detention (§105.35(2)(a)-(b)), nor how long they will be unavailable (§105.35(2)(c)). Anyone who violates this requirement is liable for up to five years imprisonment. The result is that families and friends will not know what has happened to their loved ones. The requirement that detainees be unable to inform anyone besides their lawyer that they are detained is overly broad and arbitrary. There may indeed be instances where the police might be concerned that if detainees convey the fact that they are being detained then it could have a detrimental effect on the purpose for which the preventative order was originally issued. However, in such circumstances, the police would be able to apply a prohibited contact order to prevent such communication (§105.16). The Bill raises the prospect that preventative detention will be imposed on the basis of secret evidence which the detainee cannot dispute. Again, as with the control orders, the government is specifically exempted from having to provide the detainee with any information "if the disclosure of that information is likely to prejudice national security (within the meaning of the National Security Information (Criminal and Civil Proceedings) Act 2004)" (§105.32(2)). 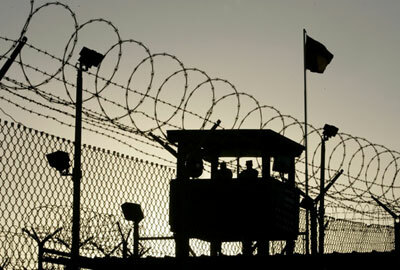 The Human Rights Committee has stated that in instances of preventative detention on security grounds, information on the reasons for such detention must be given to the detainee.8 The use of secret evidence in closed proceedings without the ability of individuals subject to a control order to confront the evidence against them in person with assistance of counsel of their choice violates fundamental due process standards enshrined in international human right law. In its present form, the Bill would result in a detainee never knowing the basis of the government's "reasonable" suspicions, raising insurmountable obstacles to the detainee being able to make any challenge to the lawfulness of the orders. The Bill requires that all communications between detainees and their lawyers be monitored by a police officer (§105.38). This threatens the basic principle of confidentiality that is essential for lawyers to be able to provide an effective defense for their clients, and to ensure the protection of their client's rights. The Human Rights Committee, which monitors the implementation of the ICCPR, takes the view that the right to counsel must include the right to speak privately with one's lawyer.9 Should there be an instance where the police have sufficient evidence to demonstrate that contact between a detainee and the detainee's choice of lawyer would have a detrimental effect on the purpose for which the preventative order was originally issued, then the police would be able to apply a prohibited contact order to prevent such communication (§105.16). Even in the time of an emergency threatening the life of the nation, states may not derogate from some of the ICCPR's key guarantees of the right to life; freedom from torture, cruel, inhuman or degrading treatment or punishment, and from medical or scientific experimentation without free consent; freedom from slavery or involuntary servitude; the right not to be imprisoned for contractual debt; the right not to be convicted or sentenced to a heavier penalty by virtue of retroactive criminal legislation; the right to recognition as a person before the law; and freedom of thought, conscience and religion. Article 19 of the ICCPR states: ...2. Everyone shall have the right to freedom of expression; this right shall include freedom to seek, receive and impart information and ideas of all kinds, regardless of frontiers, either orally, in writing or in print, in the form of art, or through any other media of his choice. 3. The exercise of the rights provided for in paragraph 2 of this article carries with it special duties and responsibilities. It may therefore be subject to certain restrictions, but these shall only be such as are provided by law and are necessary: (a) For respect of the rights or reputations of others; (b) For the protection of national security or of public order (ordre public), or of public health or morals. Article 20 of the ICCPR states: ...2. Any advocacy of national, racial or religious hatred that constitutes incitement to discrimination, hostility or violence shall be prohibited by law. Human Rights Committee, General Comment 10, Article 19 (Nineteenth session, 1983), Compilation of General Comments and General Recommendations Adopted by Human Rights Treaty Bodies, U.N. Doc. HRI\GEN\1\Rev.1 at 11 (1994), para. 4. Article 14 of the ICCPR states: 1. ...In the determination of any criminal charge against him, or of his rights and obligations in a suit at law, everyone shall be entitled to a fair and public hearing by a competent, independent and impartial tribunal established by law. ...2. Everyone charged with a criminal offence shall have the right to be presumed innocent until proved guilty according to law. ...7. No one shall be liable to be tried or punished again for an offence for which he has already been finally convicted or acquitted in accordance with the law and penal procedure of each country. Article 9 of the ICCPR states: 1. Everyone has the right to liberty and security of person. No one shall be subjected to arbitrary arrest or detention. No one shall be deprived of his liberty except on such grounds and in accordance with such procedure as are established by law. 2. Anyone who is arrested shall be informed, at the time of arrest, of the reasons for his arrest and shall be promptly informed of any charges against him. ...4. Anyone who is deprived of his liberty by arrest or detention shall be entitled to take proceedings before a court, in order that court may decide without delay on the lawfulness of his detention and order his release if the detention is not lawful. 5. Anyone who has been the victim of unlawful arrest or detention shall have an enforceable right to compensation. Human Rights Committee, Concluding observations of the Human Rights Committee : Ireland, 24 July 2000, A/55/40 (paras.422-451), para 15. Human Rights Committee, General Comment 8, Article 9 (Sixteenth session, 1982), Compilation of General Comments and General Recommendations Adopted by Human Rights Treaty Bodies, U.N. Doc. HRI\GEN\1\Rev.1 at 8 (1994), para. 4. Human Rights Committee, General Comment 13, Article 14 (Twenty-first session, 1984), Compilation of General Comments and General Recommendations Adopted by Human Rights Treaty Bodies, U.N. Doc. HRI\GEN\1\Rev.1 at 14 (1994), para 9. See also Standard Minimum Rules for the Treatment of Prisoners, adopted by the First United Nations Congress on the Prevention of Crime and the Treatment of Offenders, held at Geneva in 1955, approved by the Economic and Social Council by its resolution 663 C (XXIV) of 31 July 1957 and 2076 (LXII) of 13 May 1977, para. 93; and Body of Principles for the Protection of All Persons under Any Form of Detention or Imprisonment, adopted by General Assembly resolution 43/173 of 9 December 1988, Principle 18.